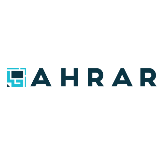 Ahrar is a trading company who seeks to enrich value provided mainly to our customers through practical merchandise and focusing on branding. Oh No! No Matching Job Vacancy Results Found. Please Modify Your Search Criteria & Retry Job Search Again. Or, Sign Up For New Job Alerts to Receive Latest Malaysia 2019 Job Vacancies in The Market. Would you like to apply to this job too? We'll send an instant application for you. You've viewed employer contact details 5 times today. To prevent abuse of this feature, we will limit users who attempt to view employer contact more than 20 times. Please only view employer's contact details when necessary. You've already applied to 15 jobs today. To prevent abuse of this feature, we will limit users who apply to jobs repeatedly. Please only apply to jobs that are relevant to you, this shows you're serious in your job search. Creating a safer environment for people to search jobs is critical to Maukerja, so if behaviour that may violate the Maukerja Rules is detected, certain account features become limited. We’ve detected some potentially abusive behaviour from your account.